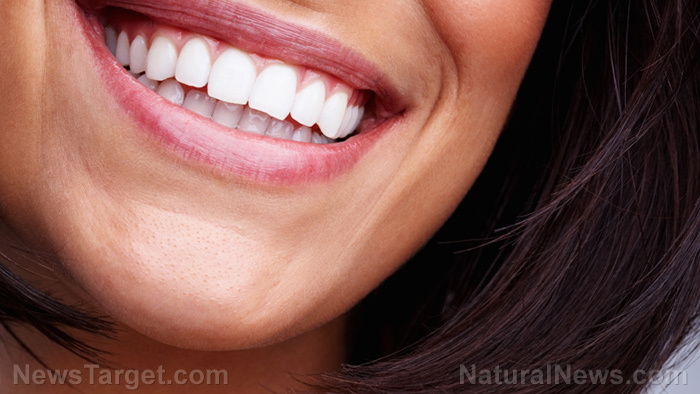 (Natural News) Dental caries, more commonly known as tooth decay, is a greater problem than it seems, largely because of its impact on your general health and your quality of life. Most of it is blamed on the effects of bacterial biofilms on the teeth, such as those produced by Streptococcus mutans. A study published in the journal BMC Complementary and Alternative Medicine discusses how the active ingredient of Myrmecodia pendans, also known as sarang semut, can inhibit the growth of S. mutans and eradicate its population. Tooth decay is a common issue among children, but it can also affect adults. Its most common adverse effect is pain which, in severe instances, is debilitating enough to hinder your daily routine. If left untreated, it can lead to permanent damage to the tooth, causing it to fall off your gums. But tooth decay has way more sinister effects. In certain instances, the infection can spread to other parts of the body, causing symptoms similar to that of the flu. Although rare, the infection can spread to either the brain or the heart and lead to serious conditions and even death. At the end of the day, tooth decay can be prevented with proper oral hygiene. Sweet drinks and beverages leave sugar (sucrose, specifically) on the surface of your teeth. The sugar reacts with the bacterial biofilm or dental plaque, producing acids that contribute to the loss of calcium in your teeth in a process called demineralization. Although saliva offers some level of defense, your greatest weapon against tooth decay is oral hygiene, which prevents the accumulation of the plaque that starts the process. When left by itself, the decay progresses until the infection spreads and damages the entire tooth. Researchers wanted to determine if the bulb of sarang semut could be used to fight the pathogens responsible for tooth decay. The plant has been used as a natural remedy in Papua for a wide variety of diseases that include tumors, gout, and diarrhea, among others. To perform their experiment, they obtained the extract from the sarang semut and put it through chromatographic purification to isolate its active components. They employed UV, IR, NMR, and MS spectrometry to determine the active compound’s structure. Finally, the compound was added to S. mutans biofilms to determine minimum biofilm inhibitory concentration (MBIC) and minimum biofilm eradication concentration (MBEC). The scientists identified the active compound as a labdane diterpene derivative, a terpenoid with the formula C31H50O3. They discovered that with the right concentration, this terpenoid could indeed inhibit and eradicate S. mutans biofilms. They concluded that sarang semut possesses the potential to be used as an antibacterial agent, particularly as a means to prevent the development of biofilms. Vitamin D – This vitamin works hand in hand with calcium in maintaining sturdy and healthy bones – among which are your teeth. You can get vitamin D from exposure to sunlight, but you may also consume food items that are rich in this nutrient. Some recommended items are yogurt, milk, and other dairy products. Oil pulling – This ancient practice involves swirling oil around your mouth for about 20 minutes and then spitting it out. Studies show that it can help prevent cavities, especially when sesame oil is used. Coconut oil may also be used for oil pulling. Licorice root – Licorice has been proven effective in reducing the population of S. mutans in the mouth. Find other natural ways to keep your teeth healthy at Remedies.news.